"Honey! Max has something for you!" Dave shouted from downstairs. I was in our room switching from work clothes into sweats. It had been a looong day, and I was zonked. But this sounded interesting. Max was waiting for me at the bottom of stairs, one hand behind his back, a huge smile on his face. 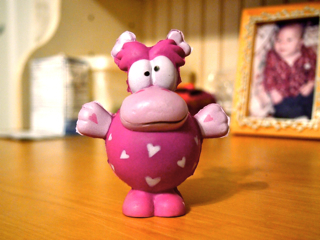 He handed me a cute little plastic purple creature. "This is for me?" I said, incredulously. Sabrina zoomed over. "It's from the stuff he got at Valentine's Day at school!" she reported. Max had come home with a red construction paper heart stuffed with cards, candy and little treats that had sat on a table in the playroom ever since. Trust me, I know this isn't something you want to hear (as if you have all that free time on your hands!) but it's the reality. Dave and I have sat through multiple meetings with the planners, more than expected. While Sal and Michael were clear from the get-go about the planning steps involved (at the first meeting, ask how the rest will play out), at one point I was feeling a little meetinged-out and so I asked to condense two meetings into one, which we did. If you are feeling overwhelmed, or not sure about info you've received, it's important that you speak up. What helped me and Dave was setting up biweekly dates at night to go over things. We scheduled a running Tuesday get-together on our calendars and stuck to it, more or less. Helpful hint: Breaking out a nice bottle of wine sure can help. Dave and I also learned about managing our assets, including the importance of having a diversified portfolio. It's always important to talk openly with the financial team about your risk tolerance and ultimate needs as you shape your strategy. One great (and non-costly!) recommendation we got was to increase the umbrella policy on our home insurance. As Michael said, "It's the cheapest liability coverage in the world, and often people don't have enough of it." Like many parents, we immediately signed our kids up for 529 plans after they were born. I did one for Max because I was determined to have that hope for him; he would go to college, no matter what the doctors had told us about cognitive impairment. It was an emotional decision, rather than a logical one. We later decided to end the plan and instead invest in other options. That's because 529 money is limited to educational use only; funds cannot be used for other important things like, say, medical care. In other words, putting all our eggs into one 529 basket was not a good idea. In addition to your financial team, it's important to also work with a qualified estate planning attorney. After an examination of our wills (which had been set up before both kids were born), the estate attorney found some glaring problems. Issues ranged from language that could disqualify Max for government assistance to tax issues that could arise upon the death of first spouse. And that, my friends, is an excellent reason not to use a Rent-A-Lawyer type to set up the wills through your job's legal plan. We got specific guidance on what needs to be fixed, and we'll be having new wills drawn up by a lawyer who specializes in planning for kids with special needs (that is very, very KEY). As with everything in life, it's good to do research of your own. There's a good chance a financial planner you will cover topics you know little about. When you look into the recommendations—assuming you go to reputable sites—you can further assess pros and cons, ask more informed questions, and make the best decisions for your family. Sal was particularly experienced with navigating Medicaid benefits for a child with special needs, because he has a daughter with Rett syndrome. What he told us was sobering: In our state alone, there are 8000 people with developmental disabilities on the waiting list for adequate housing. Gulp. Knowing the realities of Medicaid in your state can better help you plan for the future (and maybe strike the fear of God into you, too). (See above suggestion, re, bottle of wine.) For more info on benefits provided by Medicare or Medicaid (Medi-Cal in California), check out the Centers for Medicare & Medicaid Services. Medicaid guidelines vary by state; contact your local office for details. This is the last in a series of posts sponsored by MassMutual, for which I received compensation. SpecialCare is an exclusive MassMutual program that provides access to information, specialists, and financial products and services. 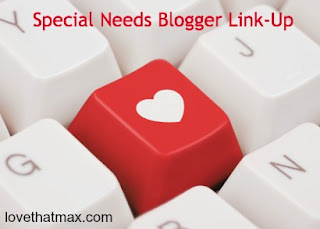 Welcome to another Special Needs Blogger Weekend Link-Up. So glad you came! 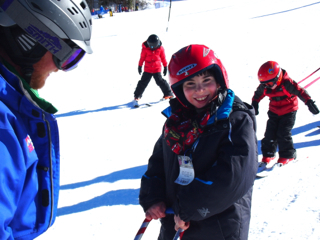 Adaptive skiing for kids with disabilities: Max hits the slopes! We've spent the holiday weekend at Keystone Resort in Colorado, a great place for families—especially ones with kids who have special needs, because there is an awesome adaptive skiing program for kids of all abilities. It's run by the Breckenridge Outdoor Education Center, with 25 staff members and about 350 awesome volunteers. They enable everyone to ski, whether independently mobile or not, and have worked with kids with various needs—cerebral palsy, autism, Down syndrome, you name it. Max had three lessons, each with the same staffer (thank you, Chris!) and a volunteer. It took him awhile to get into it, but once he did, he was very happy—and very proud of himself. If you've skied, you know how good it feels to get into a groove. 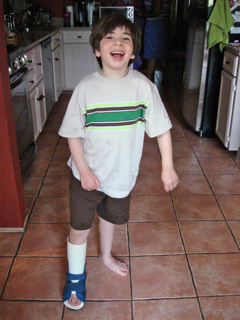 For Max, the thrill is extra-awesome because it gives him added confidence about moving his body. 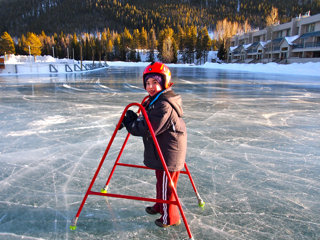 By the end of his lessons, he was able to turn his skis and independently walk with them on. Check him out! (The wobbly spots are my camera-holding challenges, not Max's.) Then come back tomorrow to see the new sport Max invented. This is one of my most popular posts of all time, and I update it regularly. This is a portrait Sabrina recently drew of Max wearing his headphones. They've become as essential to Max's wardrobe as shirts and shoes. As in, he won't leave home without 'em. I get emails asking what kind of headphones Max wears. 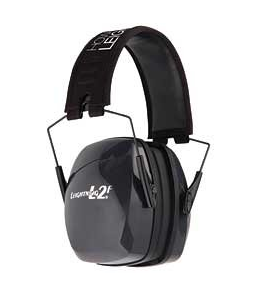 They're the noise-reducing Howard Leight Leightning Folding Earmuff. 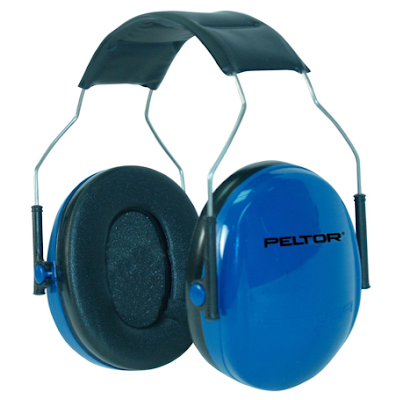 They run $17, with a Noise Reduction Rating of 28 (the highest rating for earmuffs is 31). But they're kind of priceless because they've been an incredible help to him and our family, too. He's more comfortable venturing to new places like museums and restaurants, and less likely to melt down. Like other headphones on this page, they're adjustable. There's also this $10 version, which has a Noise Reduction Rating of 25. They don't completely block out noise (none of the ones listed here do). We've never gotten the noise-blocking kind of headphones, as we want Max to be able to hear some sounds. But all of the noise-reducing ones here are pretty effective, and if you're flying, they can block out engine noise. 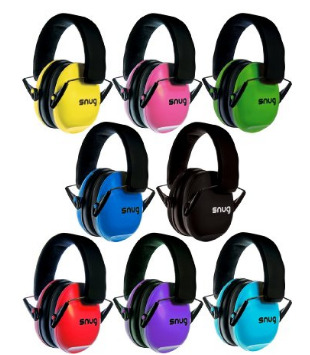 Snug Safe n Sound Kids Earmuffs come in a wide variety of colors; at $15, they're a good deal. (Noise reduction rating: 25). They fold up really small, plus they have a five-year guarantee. They seem to best fit kids under age 6. Lots of wins here! I know a bunch of parents who like Baby Banz Hearing Protection Earmuffs for kids ages 2 to 10 ($26; Noise Reduction Rating: 21). They look cool and muffle loud noise without shutting out all other sounds. 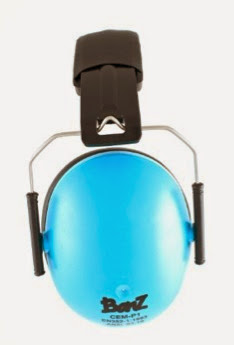 Also available for kids ages 0 to 2: Baby Banz Infant Hearing Protecting Earmuffs. 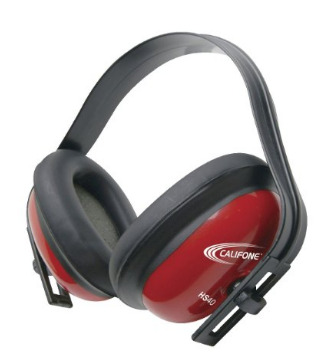 The Califone Hearing Safe Hearing Protector earmuffs for toddlers to tweens (noise reduction rating: 25) may be a bit cheaply made, but at a mere $8, you can keep them as a spare in the car should you (gasp!) 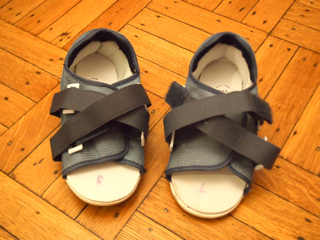 leave the house without your child's usual trusty pair. 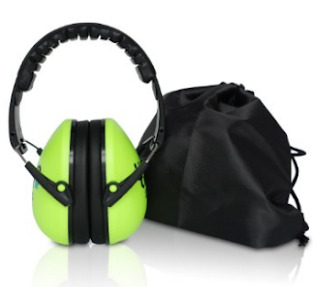 HearTek Kids Earmuffs Hearing Protection, which come with a travel bag, also get props from parents. Noise reduction rating: 27; cost: $15. They're comfy, and fit well—although a wee bit on the tight side. We use these Skullcandy headphones, $22, to plug into Max's iPad—they're not noise-reducing, they're just for listening to videos and music. But we limit their usage because he could happily spend hours watching Disney Cruise videos on YouTube. 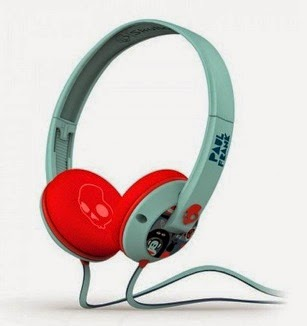 The first headphones Max ever got were these 3M Peltor Junior Earmuff (Noise Reduction Rating: 25). They worked well but over time the wire got bent out of shape so we decided to try other ones. 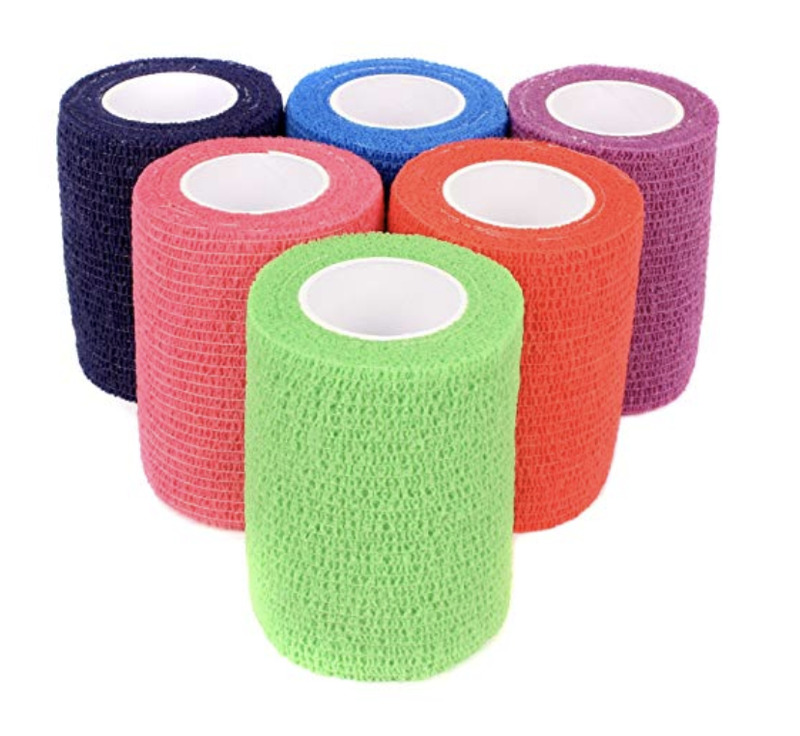 They're from a dependable brand, come in three colors and are good for juniors ages 13 and up and young adults (Max, however, was wearing them when he was around 9 and he has a small head)! Max still gets wary at the sight of crowds, but the noise-blocking earmuffs are amazingly comforting. It's not just that they block noise; he's comforted by the slight pressure on his ears. In fact, they've given him so much confidence that sometimes he takes them off when we're out. I've tried them on, and they really do block out a whole lot of noise—not all of it, but it's very muffled. Me, I wouldn't mind a pair of my own to block out whining. Welcome to another Special Needs Blogger Weekend Link-Up! Like this: Love That Max: My Middle Name Is "Try, Try, Again"
Some of my favorite people of all time are the therapists in Max's life. 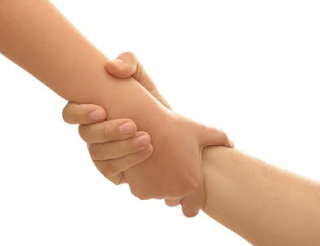 Therapists past and therapists present: I have a huge debt of gratitude toward them. They have been key to teaching, enabling, encouraging and enriching Max, helping him achieve to the best of his abilities. They have shown me how to best help him. I am forever in awe of their smarts, patience, dedication, and just how much they care. As much as I've felt like throwing my arms around them and giving them a big old kiss, I have refrained, for which I am sure they are grateful. This Valentine's Day, I'm spreading some love to Max's speech therapists, J&J. J #1 has been in Max's life since he was a baby. She faithfully comes to our home every Saturday morning, and that alone is amazing because it's not common in our area to have visiting speech therapists. She brings along a bag of games and crafts, and works with Max at our kitchen table or in his room, depending on his mood. She's a big fan of Colorforms' Silly Faces Stick-On Games, which she plays with him to get him talking. She has shown me oral-motor exercises to help loosen up his tongue and jaw; he speaks so much more articulately when those areas aren't tense. Lately, thanks to her, we have Max biting on ChewyTubes in the morning to help loosen him up—placed on the back molar, 10 bites per side (we use the red one). While she's with him I sit outside the room to listen in, and I hear J getting Max to say words I've never heard him clearly articulate before—"go" and "ketchup" and "monkey" and "down." 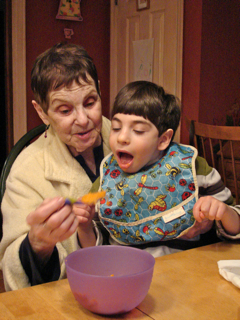 She describes "p" and "b" sounds to him as "lip poppers" and "d" "l" "n" and "t" sounds as "tongue tappers" (as in, your tongue is tapping the roof of your mouth). She gives me guidance on what to tell the other therapists in Max's life, like when I emailed last week to ask what the music therapist could focus on. She is savvy and practical, too. She does not hesitate to let me know she has a concern—but when Max says something great her face lights up, and then I know it is a Big Deal. J #2 is Max's speech therapist at school. It was J who in May 2010 first asked whether I might be interested in trying out an iPad and Proloquo2Go speech app with Max. "YES!" I said, and Max's world opened up. J is incredibly enthusiastic and progressive. I appreciate how forward-thinking she is because while there are good speech therapists out there, not all are willing to embrace technology like she has. She is full of good ideas for engaging Max; right now, Max and another kid in his class do a speech therapy session together once a week and J has them telling each other knock-knock jokes on their iPads. She is always coming up with ways to expand Max's use of his speech app. Of course, she also gets him working on verbalizing and articulating words. "Max impresses me every week," she recently emailed. 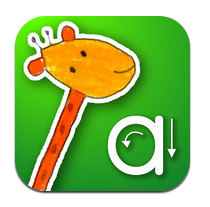 "He is talking so much, combining sounds and then using the iPad. His approximations have increased and improved." 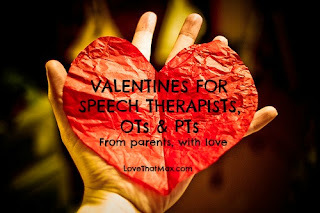 Which therapists are your special needs valentines? 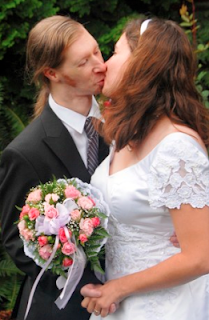 These are a few great love stories about couples with disabilities I've read around the web. 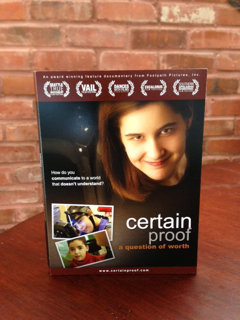 Check them out, and have some tissues handy. Bill Ott, 38, and Shelley Belgard, 36, met at a local social club in Maryland when he was 12 and she was 15. He has Down syndrome and she has intellectual disability, as Ellen McCarthy tells it in her beautiful article for The Washington Post. "I didn't know what love was until I met her," Bill said. He took Shelley to his junior and senior prom, then they lost touch after high school. 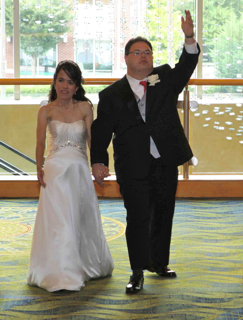 They reconnected when both signed up for a Caribbean cruise for people with disabilities. 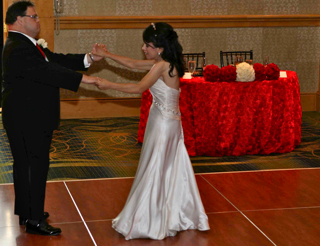 They married in September; for their first dance, they chose At Last. As kids, Lindsey and Nick played together on a Little League Challengers team for kids with special needs; Lindsey has intellectual disability, Nick has Dubowitz syndrome, a rare genetic disorder. They started going out in 2005. "She is a caring, sweet young woman," her mother says. "She once told me, 'Mom, I don't want the same things out of life as you do. I just want to be loved.'" Last spring, Lindsey texted Nick and asked if he'd marry her; they wed last October. "As parents, we hope Lindsey and Nick will keep each other company," Linda wrote on her blog, Out One Ear. "Together, we hope they gain confidence, make wiser (and more independent) 'couple' decisions.... And when all this parental support is gone, they will still have each other. We hope they grow old together." Linda's asking people to send the couple valentines—find out more about her effort here. 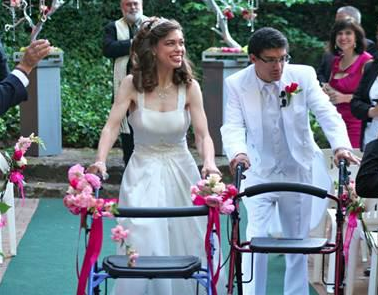 A couple with cerebral palsy wed in Israel. If you haven't yet seen the video, you want to. Nicole Brobeck, who has cerebral palsy, and Curtis Braxton, who has hydrocephalus and a seizure disorder, met at a living skills program in 2007 in Northern California. "I love Nicole because she's so happy and she doesn't let her disability get to her, get her down," he told Today. They got engaged last Valentine's Day, and planned to marry in May. After Nicole's dad died, however, her mother had major medical bills and not much money for a wedding. An organization that was going to throw them a wedding backed out. Then a florist spotted the couple shopping for centerpieces and roped in friends in the wedding industry, and they gave the couple a fabulous wedding. The bride wore a white satin gown decked out with lace, pearls and crystals—and matching white sneakers with lace and rhinestones. Said her mom, "There is no disabled love. There is only true love. And they have it." And this, a seemingly different kind of story—yet at its heart, it's also about true love. 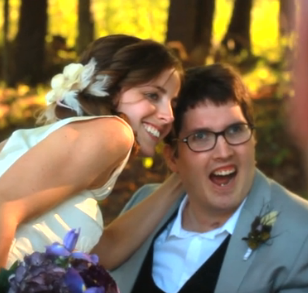 Larissa and Ian Murphy had been dating for 10 months when he suffered a traumatic brain injury in a car accident. She never stopped loving him; they married in August 2010. As she writes, "Marrying Ian meant that I was signing on to things that I don't think I ever would've chosen for myself—working my whole life, having a husband who can't be left alone, managing his caregivers, remembering to get the oil changed, advocating for medical care, balancing checkbooks, and on.... But in light of all the practicals, and emotionals, it was so very simple: We love each other. And we love God." 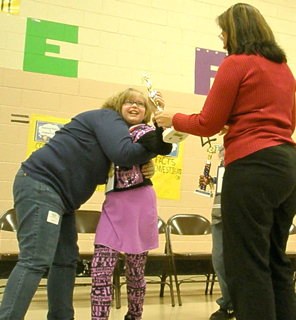 Meghan McCarty, 9, was her mom's hero long before she won the Dogwood Elementary School Spelling Bee last week. 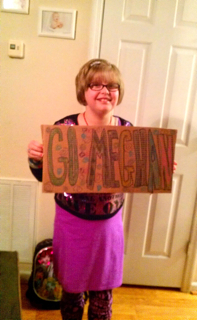 Born premature, Meghan has mild cerebral palsy and autism. "When we were given each diagnosis, I had no idea what to expect," says her mom, Tiffiany. "It has been a long road to where we are, but she amazes me each and every day. She has such perseverance and determination—read, stubborn!—for a young girl. Each time they say she can't, won't or never, she usually does." 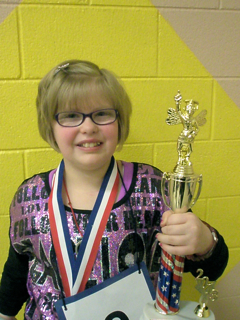 Last year, Meghan won the spelling bee for third graders and placed third in the one for her school, located in Knoxville, Tennessee. She's also won honor-roll awards. "Nine is her favorite number—it's just luck that it came her way!" says Tiffiany. I asked Tiffiany if I could send her questions to run by Meghan. Instead, Meghan decided to type all the answers herself! Of course, there wasn't a single typo. So, Meghan, how did you learn to be such a great speller? "I learned words when I was two. I like to read." What were you thinking during the spelling bee? "'I'm happy be here' and 'I can spell these words.'" Where did you put the trophy you won? "Right now it's on the dining room table. I will probably put it in my bedroom with my other awards." 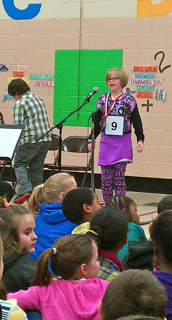 How are you going to get ready for the regional spelling bee in March? "I'm doing the word club online. I practice words in the car with Mommy. I look at the dictionary." What are your favorite books right now? "I like to read Nancy Drew books lately and the Missing Book by Margaret Peterson Haddix, Cam Jansen. I also like to read magazines with drug ads. I also read about different drugs on my iPad." "I like going shopping and going to the library. I like to go to Dollywood. I like reading." 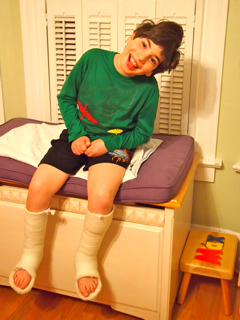 Why do you think kids with cerebral palsy and autism rock? "Cause we are special and can do anything, just a little different. My autism gives me super powers like hyperlexia and makes me smart. Also you can wear call DAFOs braces with butterflies. You go to therapy and and get occupational therapy, physical therapy and speech therapy and the therapists are nice." "Always do your best and try and we are Americans not Americants! My favorite singers are Taylor Swift, Justin Beiber, Lady Gaga and Katy Perry. I like to tell jokes. What did the lion say after eating the clown? 'That tasted funny.' HAHAHAHAHAHAHAHA!" Special Needs Blogger Weekend Link-Up: Now with more posts! Mac and cheese mania continues! What foods are your kids loving? In other news, Max's obsession with mac 'n cheese continues. Although he has a limited diet because he's not yet able to down crispy, chewy or chunky stuff, I suspect that no matter what kind of eating skills he had he'd still only want mac 'n cheese. It's in his genes. Not to mention, my hips. Max is still loving the butternut squash mac 'n cheese from the Food Network, but I recently went on a mac-hunt to find other nutritious versions—and discovered a bunch of tempting kinds that kids would never suspect are actually good for them. 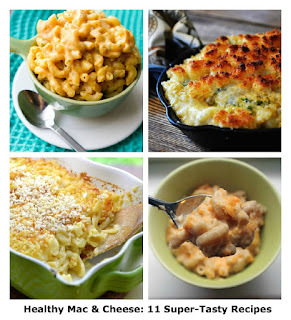 Here they are, 11 healthy mac and cheese recipes, for your family's eating pleasure. Which food is your child obsessed with these days? What sort of nutritious softer foods are you making if your child has chewing challenges? Anyone care to drop off some mac 'n cheese? 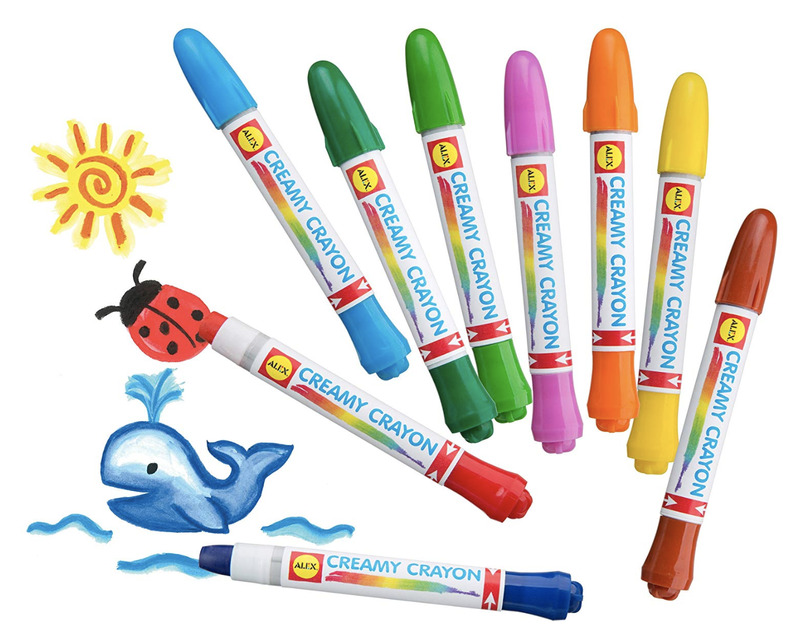 Reader Momttorney was asking about writing instruments that could help her four-year-old, who has challenges with fine-motor skills. 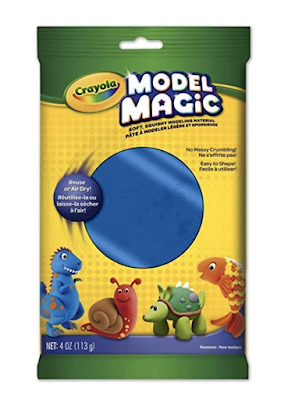 I'm no expert though I play one in real life; over the years, I've found a bunch of stuff that's enabled Max to draw and write. I'm sharing here—please add your ideas, too! 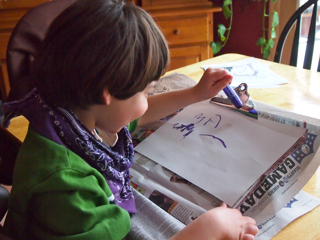 First up: positioning paper so it's easy for your child to draw or write on. 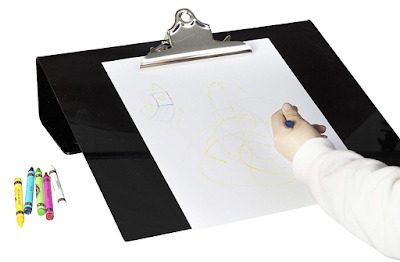 The Adapt-Ease Ergonomic Slant Writing Board above is durable and BPA-free. 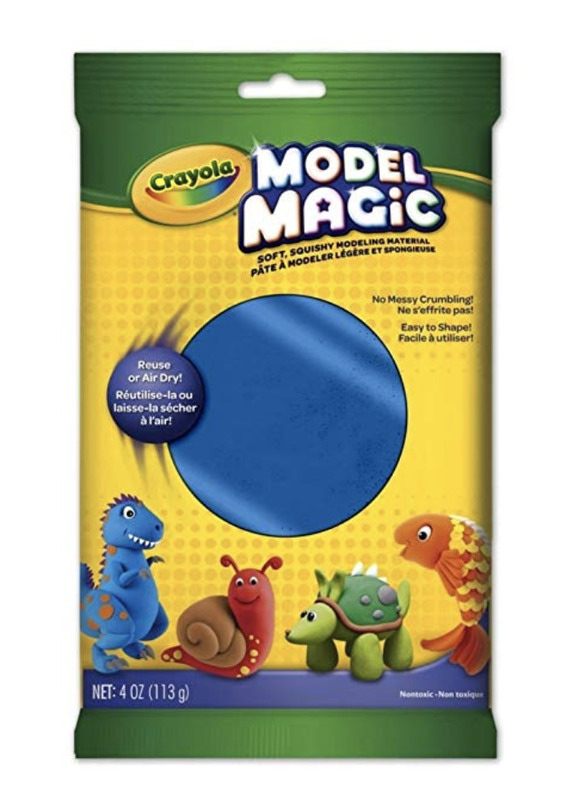 You can smoosh Crayola Model Magic around a pencil, pen, marker, crayon or piece of chalk to give it grip. One of Max's occupational therapists used to wind self-adhesive wrap around pencils and crayons to build them up and make them easier for Max to grasp. 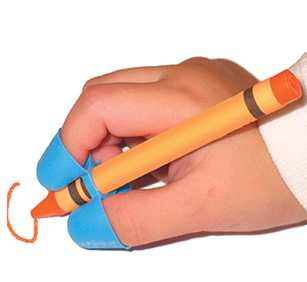 Max's school OT recently sent home this Bip Gear Pen Grip; it holds pencils, pens and crayons. Max prefers foam tubing (which you can see him using in this video). It also works well for utensils. The Writing Claw helps kids grasp crayons, pencils, pens and skinny markers; Max isn't yet ready for it, but it looks helpful. Alex Creamy Crayons are chunky-ish and glide really easily. 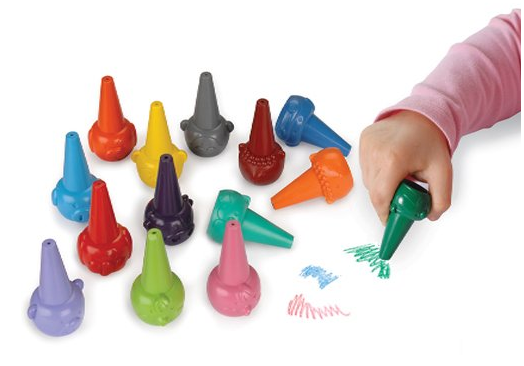 Max has used Finger Crayons (aka bulb crayons aka chubby crayons) for years. Especially purple ones. 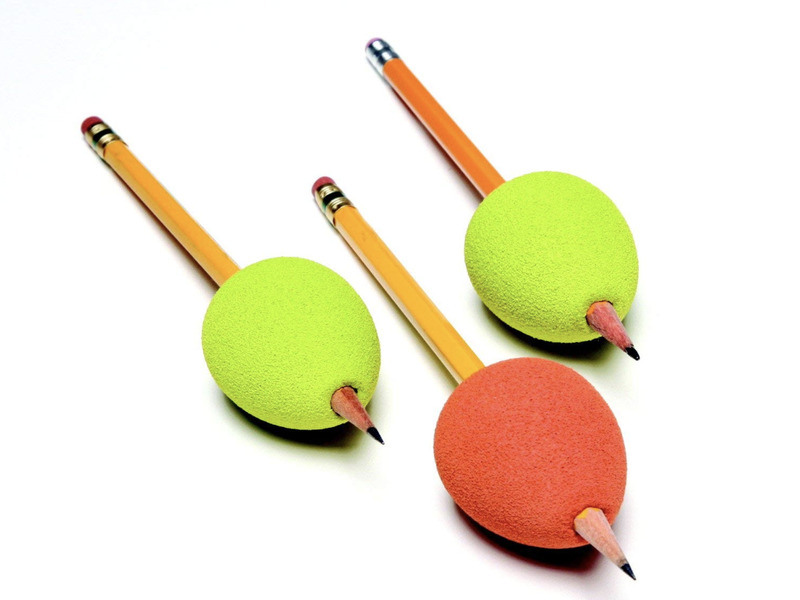 Abilitations makes Egg Ohs Handwriting Grips that makes holding pencils easier. Max likes the app game iWriteWords for tracing letters and numbers; abc PocketPhonics and Writing Wizard are other good options. 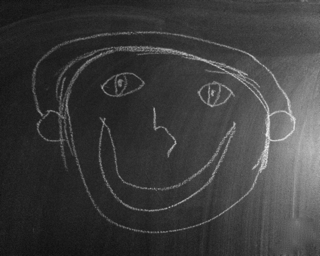 OK, your turn: Please share strategies and suggestions for products, tools and apps that have helped your child draw and write. 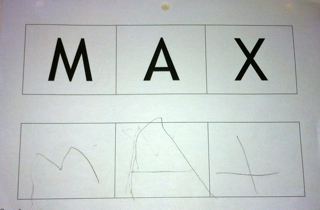 Max has been writing his name for nearly a year now. Because he's been doing so well with the iPad and speech app, there hasn't seemed to be a strong focus at school on writing letters. At home, either, to be honest. But at his recent parent-teacher conference, we all agreed to get Max going on writing more. Right now, we're working on the letter "L." For inspiration, I showed Max that Ernie and Bert La La La ode and he found it very amusing. Only now I can't get "la la la la...linoleum" out of my head. The best writing instrument for Max is a pencil encased in foam tubing. 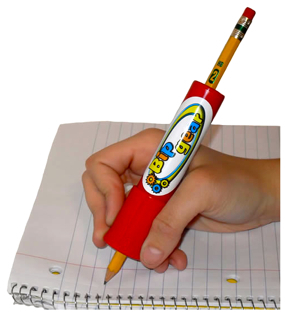 His school OT recommends short, stubby pencils (unlike this one). I kept meaning to buy some until I stopped by IKEA on Sunday and there was an entire bin filled with little pencils for filling out shopping slips and it was like I was destined to go to IKEA and find them and I may or may not have grabbed a handful and shoved them into my purse. Hopefully, I will not have to flush them down the toilet if law officers show up at my house. Although I may or may not have grabbed them. As you can see, Max refuses to fully wrap his fingers around the pencil—he likes to knuckle it. Not ideal, and I'm hoping we can break him out of that. But, wow, is he determined—and doing so well. And yes, he is seriously proud of himself, as he should be; this doesn't come easy for him. Rounded letters like "b" and "p" will be a lot more challenging, as they are for him in speech. But if I know anything, Max will figure out a way. There's been an uproar this past week over horrific intolerance toward a child with Down syndrome. Lisa Morguess at Life As I Know It wrote about a blog written by a stepmother to an 11-year-old girl with Down syndrome whose posts are filled with frustration, disdain, disgust, anger and flat-out cruelty. The blog has since gone private, but not before Lisa captured screen grabs. The woman talked of ignoring her stepdaughter. She called her a "full-blown nuisance." She said she got mad at her for no reason; as she herself questioned, "Where do the feelings of hatred and anger really come from?" She made fun of her behavior, at one point listing things that bothered her—everything from the way the child shovels snow to the fact that she does not think to request Chapstick for her dry lips. The intolerance is extreme and the woman, despicable. Shocking, too. Yet if you have a kid with special needs you know that intolerance towards our kids is not unusual. It's typically not at this level, and it's certainly not always this blatant, but it's very much out there. And I do not think the world at large is aware of that. Yes, people catches glimpses when the web and media bring stories to light, like the customer at the Houston restaurant who said "Special needs children need to be special somewhere else." Or the woman at the Missouri restaurant seated next to a child with autism who told the waiter, "Except for the retard in the next booth ruining things by making noise, everything is fine." Max is surrounded by friends and family who are welcoming and inclusive; they have learned that in many ways he is just like any other kid, and they accept his differences. 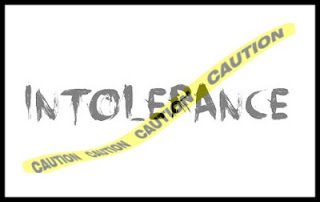 It makes intolerance that much more unnerving when we encounter it. A few months ago, Dave and Max were at a friend's apartment and as they were in a common play area a woman blurted, "Why don't his hands move normally?" And then, "Why is he drooling?!" Dave rehashed the scene for days afterward. He couldn't understand why that woman would have said those things. Sometimes, intolerance has no words. I will never forget the mom in Barnes & Noble who grabbed her child and hustled him away when Max touched his arm and babbled at him, as if cerebral palsy were contagious. I cannot forget the stare-glares of other mothers; once, in our pediatrician's office, a mom gawked so blatantly at Max that I snapped, "Do you have a problem?" Intolerance isn't just the wicked stepmother. It is all around, people without patience for those with different abilities, without understanding, without heart. It is what makes life that much harder for our children, people imposing yet one more handicap to overcome. It gives me deep anxiety as a parent, because I will not always be there to shield Max. Someone alerted the authorities about this mom; she tells of being questioned by a police officer. In a follow-up post, Lisa notes that the local Down syndrome association is aware of the situation. You can only pray that this woman gets the help that she needs, though it's impossible to give anyone a conscience transfusion. What incidents of intolerance have you dealt with? Welcome to another Special Needs Blogger Weekend Link-Up, your home away from home. Like this: Love That Max: Some Days, My Sister Is Nice To Me. SOME Days.